Summary: Took several more spectra trying to characterize the behavior of the detector. New to the experiment? Scroll to the bottom for background. The source is taped directcly to the window of the detector. 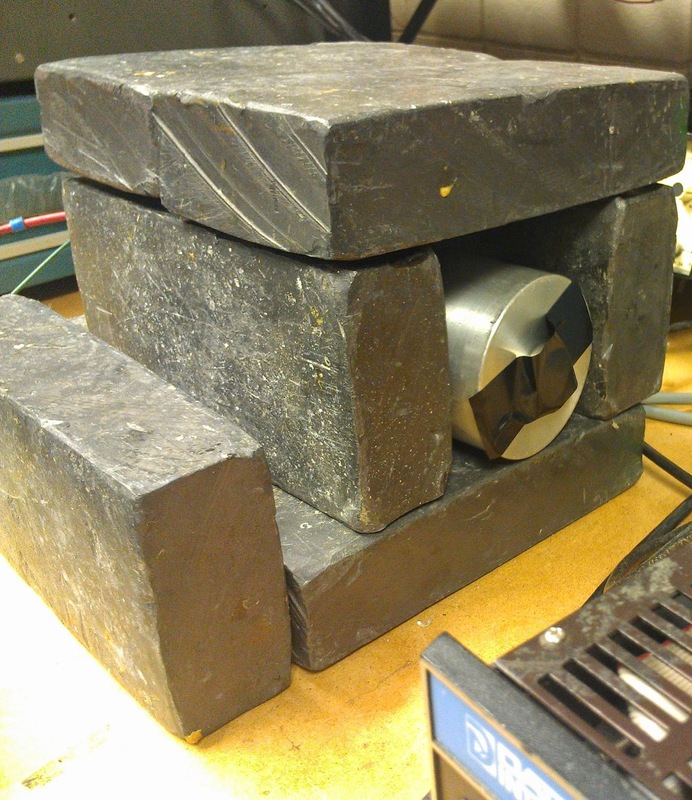 This will give the maximum number of particles from the source impacting the detector. The counts from these runs will be used to determine the number of counts per second from the source. 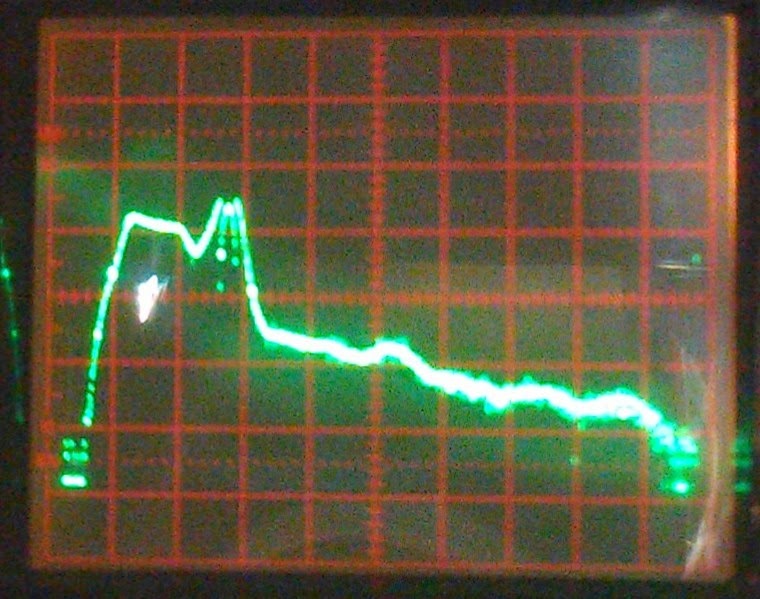 This spectrum had to be patched to account for the overflow in the 662 peak channels as can be seen above. The patched spectrum is shown below. There are several things to take note of in the above. First, the counts for the source are increased. This would be expected because of the source placement as mentioned above. 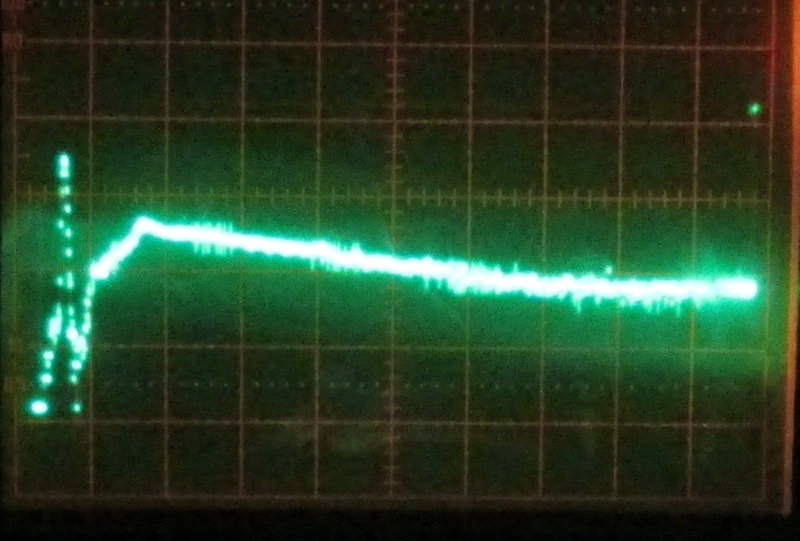 Second, notice that the plateau signal isn’t reduced by much. This is an indicator that its noise, as suspected. We still don’t have an answer for why the k line count goes down relative to the 662 keV line however. Cs 137 Placed 2 9/16” from center of window to center of source. Is there a different 32 keV peak here? I thought I had eliminated the pedestal, but looking at the entire spectrum, the pedestal and what might be two peaks show up. Here’s the same plat as above, from the Dewar distance source test that shows the two predicted Compton edge channels. They’re both too large. A Co 60 run was taken in hopes of making use of the 75 keV Pb X-ray. It’s debatable whether or not the 75 keV peak can be seen above or not. The spectrum looks identical to the background only spectrum. I’m running an overnight spectrum to get a cleaner signal.